One of the most common branding tips you will find for your businessÂ or website is to create Facebook page. For this reason, I am sharingÂ with you in this articleÂ a complete tutorial onHow to create a Facebook pageÂ for your business website. If you are not sure why you should create a Facebook page, readÂ on! Our target for you in this post isÂ to illustrate how you can haveÂ aÂ FacebookÂ fan page for your brand in 15 minutesâ€™ time. Facebook is one of the most popular social networking websites out there, with 850+ million users worldwide. By creating a Facebook fan page, you are allowingÂ your potentialÂ readers, clients and customers to connect with you. Depending on your social media skills, you can engage your Facebook fans in conversations, and make your brand more prominent. In fact, many companies are even using Facebook as an announcement channel. Facebook is one of the biggest marketing and branding tools available to you, if you use it wisely. Do you remember Vodafone ZooZoos, the advertisement characters promoted by Vodafone India which become so amazinglyÂ popular? Facebook played a major role in the development of their immense popularity.Â In fact, the ZooZoos had aÂ huge fan following on several social networking sites including Facebook, with reportedly over 2.5 million fans! If you have been ignoring Facebook for marketing and branding purposes until now, you have beenÂ losing a significant amount of potential in the way of readers and clients for your websites, blogs and services. 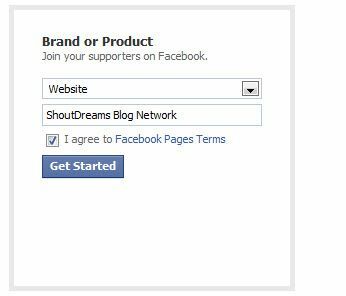 Facebook fan pagesÂ help you to brand, socialize and send messagesÂ to all of your blog or website fans.Â If you have not yetÂ created a Facebook fan page for your blog, do it now and enjoy takingÂ your brand to the next level. 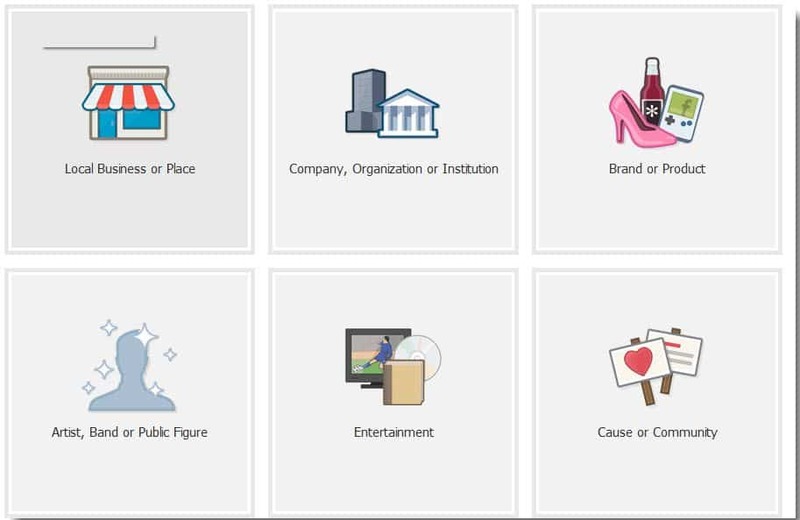 Go to this create a Facebook pageÂ link, and select the type of business you have.Â Selecting the proper category will allowÂ your brand to reach the right audience. For example, if you need a fan page for your website or blog, select â€œBrand or Productâ€ and select â€œwebsitesâ€ from the drop-down menu. Â Next, add your brand name. This is not a vanity URL, butÂ you can add aÂ custom URL from your fan pageÂ later. Click on â€œGet Startedâ€, and thenÂ add the details and choose an avatar for your fan page. I would suggestÂ usingÂ your official Gravatar, and if you donâ€™t have a Gravatar, you can always create a pictureÂ for your fan page that is similarÂ to your brandâ€™s logo. Note: the maximumÂ size for your Facebook fan page profile pic is 180*540 px. Once youâ€™re finishedÂ uploading your picture to your newly created Facebook fan page, Facebook gives you an option to invite your friends to your fan page. You can skip thisÂ for now if you wish, and return toÂ this feature later. On the next page add your website details, and click on â€œContinueâ€.Â Once done, you will have a page like this (see image below), and you can hit â€œLikeâ€ and recommend people, and also edit page settings. Once you have learned how to create a Facebook fan page, itâ€™s time to learn how to edit your fan page. Having a look at this screenshot will give you a great many ideas about the customization options of Facebook fan pages. Like our Facebook profile, this is the wall for the Facebook fan page. You can use it to upload images, text, share links, ask questions and upload videos. I would suggest that you use in as creative a manner as possible.Â Â Apart from publishing your latest post to your fan page using RSS Graffiti, I also suggest you that you workÂ on asking interesting questions and engage your users in conversation. AsÂ you are editing your Facebook fan page, you will find theÂ admin management page of Facebook, and from there you can take various additional actionsÂ related to your newly created fan page. Sometime back, Facebook added a new feature to Facebook pages for businesses, and it allowsÂ you to use Facebook as a profile. You can â€œLikeâ€Â other Facebook pages, and comment using your Facebook fan page name. You can notÂ add another user to your Facebook profile, but from a branding point of view, you can effectively use this feature to makeÂ your reach wider. You can engage inÂ conversations and discussions, and if you are an expert, your answers will help you to get genuine fans. 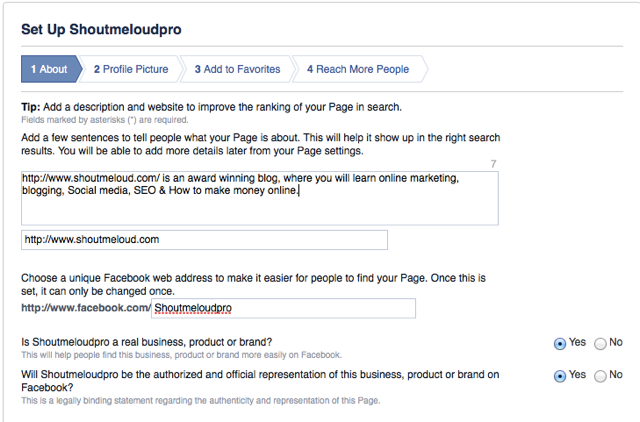 In this post Iâ€™m not going to elaborate on how to optimize your Facebook page for SEO, but it is important to note that your â€œAboutâ€ section works as a meta description with search engines. For this reason, you will want to write your â€œAboutâ€ section carefully, so that it is easier to rank for any keyword using a Facebook page. So â€“choose your name and the contents of your â€œAboutâ€ section carefully. This isÂ one number which we would always likeÂ to see increasing! 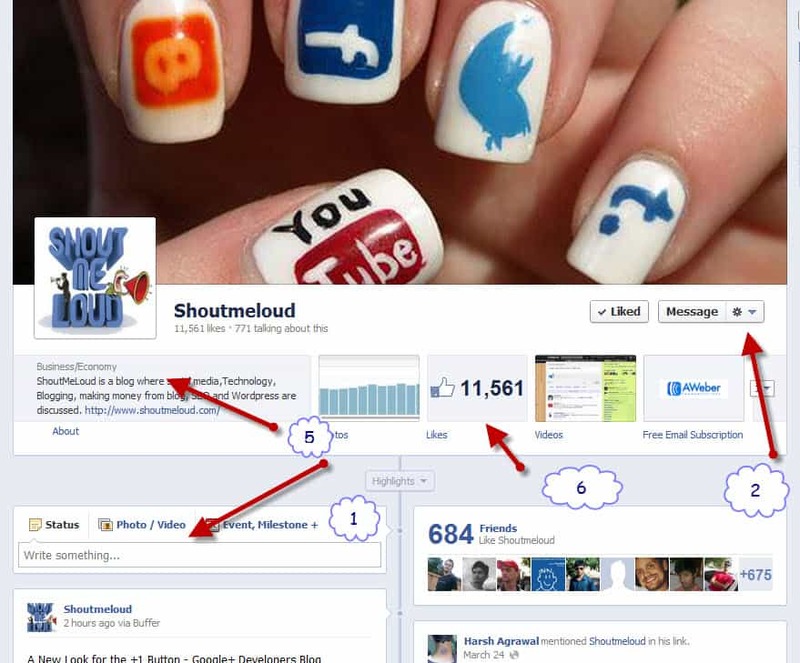 You can refer to the tips in my other posts on increasing fans on your Facebook page, and watchÂ this number grow. One of the easiest way to increase fans on your newly created Facebook fan page is by adding a Fan Box widget on your website. You can alsoÂ link your Facebook fan page with Twitter, and all of your Facebook updates will automatically post on Twitter, too. IfÂ you are looking for enhancedÂ brandingÂ andÂ social media outreach, I suggest that you alsoÂ create GoogleÂ Plus page.Â You can learn more about this optionÂ from my previousÂ post onHow to Create a Google+ Page for Businesses. 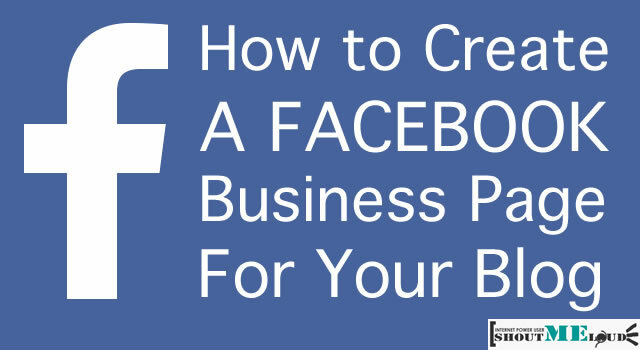 I would love to know if this tutorial helped or inspired you to create a Facebook business pagefor your business or website. Do you think itâ€™s necessary to have a Facebook page for every brand and business? Â Tell us what you think using the comments section below.